All Springtown homes currently listed for sale in Springtown as of 04/22/2019 are shown below. You can change the search criteria at any time by pressing the 'Change Search' button below. "DELLHAVEN: This extraordinary 18th-century Manor home with significant additions in 1986 and 2006 preserves the beauty and historic details of the past while offering today's modern amenities. Set on 24+ picturesque acres the property embodies the essence of a graceful Bucks County estate while providing a casual, fun-filled country club lifestyle for family and friends. The spacious residence with unusual-for-its-time 9 ~-ft ceilings and large common-area rooms boasts 5 bedrooms, 6 full baths and 3 half baths, a Honduran mahogany library (perfect for a home office), 5 fireplaces, and a chef~s kitchen with adjacent breakfast room warmed by a beautiful stone facade once the exterior of the original house. Added luxuries include a very large entertainment wing with separate entrance, a French 19thth-century 24~ long hand-carved bar with matching 14-ft-tall FP, an Art Deco custom home theater, a gym with an indoor pool, and a solarium with hot tub and terrace leading down to the in-ground swimming pool featuring a cozy-corner with jets, surrounding patio for lounging and dining, and a tiled water wall. Outdoors, enjoy not only the pool but also the tennis court and the ~Frolicking Fountain~ in the front of the house while taking in the magnificent views. Enter this unique property through an impressive stone-embraced gated entrance and follow the long winding driveway to a true oasis that offers complete privacy and at the same time invites an endless variety of enjoyable activities for small and intimate or large and lavish gatherings. A huge 19th-century bank barn provides plenty of storage space, garages for up to 8 cars, and a 2-BR, 2-bath apartment. Located only 90 minutes from NYC and less than an hour from Philadelphia, aptly named DELLHAVEN offers a matchless lifestyle that can be your own personal Haven in the countryside of legendary Buck~s County." "Home to be built. This is a special opportunity to customize it the way to have what you want. To be built by Glenn Neebe, this 2476 square foot home is set on 1.4 acres, with a few mature trees set in the right places. A similar home is pictured that offers a stylish open floor plan with lots of popular features. Be amazed, this really is the home you dreamed of! 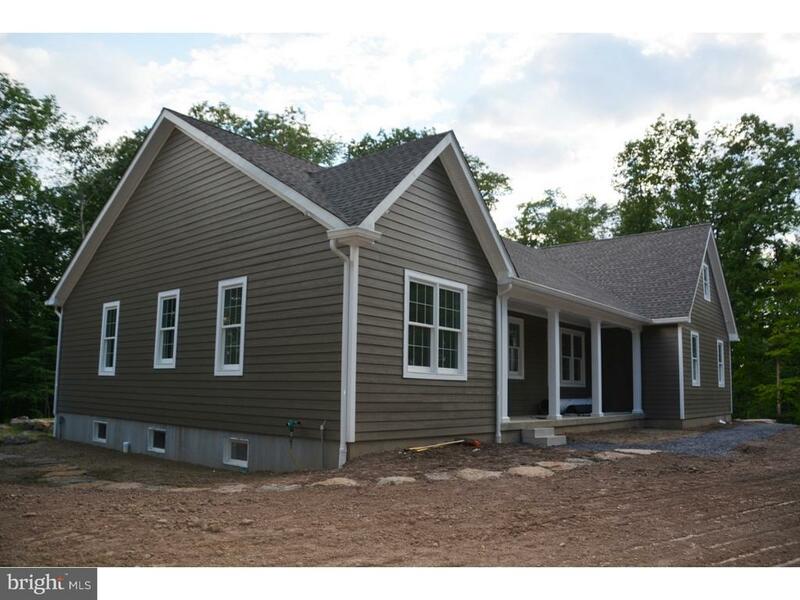 This is a new ranch style home with one floor living and a bonus room upstairs, 2 car garage, basement, 3 bedrooms 2.5 baths and a well-appointed master suite with walk in closet and tile bath. Great room with fireplace and cathedral ceiling create the gathering place for everything. Main floor laundry in the mudroom. The benefits of community water and standard septic. The setting provides privacy, yet in a quaint village environment, offering the best of both worlds. Maintenance free exterior, rocking chair porch and rear deck. Bring your wish list now, before construction gets started and get it just the way you want it. The site is ready to build, with the in-ground septic system already installed. Ten minutes to I 78, easy commute to Lehigh Valley or New Jersey." "This exceptional custom home, to be built by Prime Builder North, LP, showcases quality & design throughout. 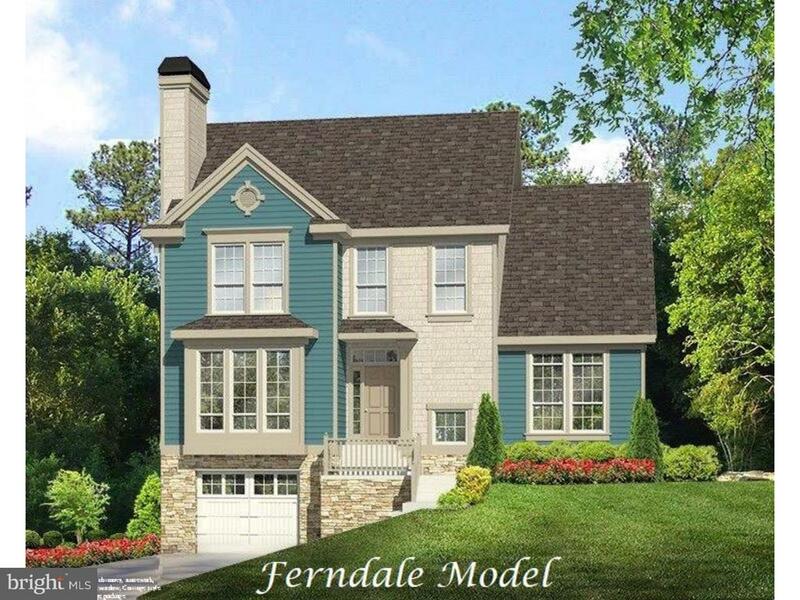 The Avery model opens up to a formal two story foyer and a turned staircase. The first floor has a spacious great room, great for entertaining. The open breakfast area is connected to the kitchen, which leads to the equally large dining room. A mudroom and powder room round out the first floor areas. On the second level of the home, you will find four spacious bedrooms. The second floor laundry room sits across from the top of the stair case, and just next to that is a beautifully constructed master suite. The roomy walk in closet adjoins the owner's lavish bath and an expansive shower area. There is also a full half bath down the hall from all of the master accommodations. Additional features include a 2 car garage. Photos of similar home. THIS IS A SPEC HOME CURRENTLY UNDER CONSTRUCTION." "One of a kind property & opportunity! Charming and unique 1800s cathedral church with modern appointments of a home! The original church bell still remains! Original double doors welcome you through the foyer and showcase the original intricate details of the stained glass windows, hardwood floors, 2 story cathedral ceilings & natural woodwork! Open concept family room & kitchen complete with plenty of cabinet space, double wall oven, center island & pantry space! Breakfast nook or reading area leads you to the large rear deck overlooking the rear yard with lush landscapes & garden! First floor study or bedroom & full bath! Second floor master bedroom suite could be closed off for more privacy or into two bedrooms! Fully finished walk out basement with an opportunity for an in law setup, college student or office space! There are 4 separate rooms, two half baths in the basement & laundry area, all accessible from the upstairs! Easy access to the rear off street parking & garage space!" "This Victorian Main St. home from the 1880's is looking for a new owner. This house combines older charm with modern upgrades for a seamless blend of old and new! Features include: high ceilings, large windows, remodeled kitchen and second floor balcony. This home also has newer bathrooms, a second floor Family Room with office and a 3-room third floor attic. Central Air installed in 2008. Plenty of space outside awaiting a gardeners touch. 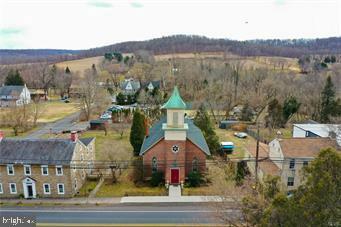 Zoned Village Commercial, the property also includes a detached 2 car garage and a 2-story red barn perfect for a commercial enterprise such as antique store or craft shop."